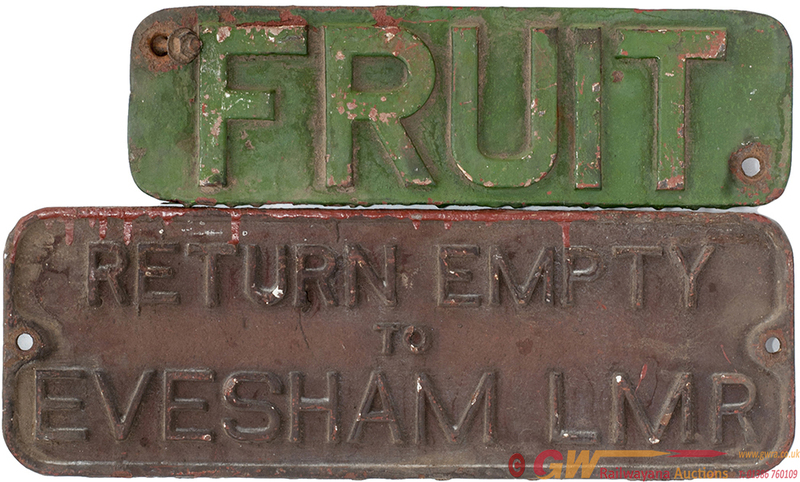 Wagonplate cast iron RETURN EMPTY TO EVESHAM LMR, 20in x 7in. Together with a cast iron Fruit Van plate off the same wagon, 17in x 5in. Both in ex wagon condition.